Iowa’s indoor practice and competition facility reopened in 2016 with a multi-million dollar makeover. 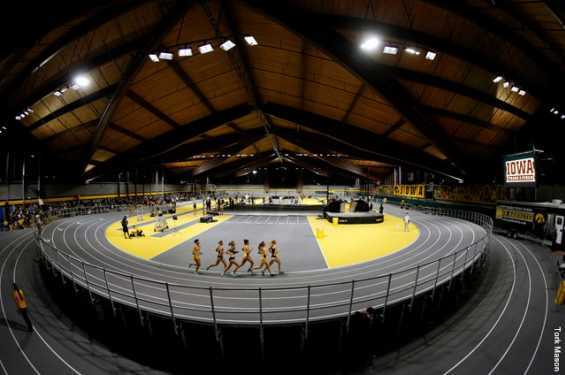 Called by some as the ‘fastest track in the world’, the new raised track sits up to five feet off the ground and is a one-of-a-kind competition surface previously used for the 2016 World Championships in Eugene, Oregon. The Recreation Building also houses renovated Locker rooms, weight training and athletic training space for the Iowa track and field, and cross country teams.